Mount Batur is an active volcano in the district of Kintamani, Bangli Regency, Bali, Indonesia. Located in the northwest of Mount Agung, the mountain has a caldera measuring 13.8 x 10 km and is one of the largest and most beautiful in the world. 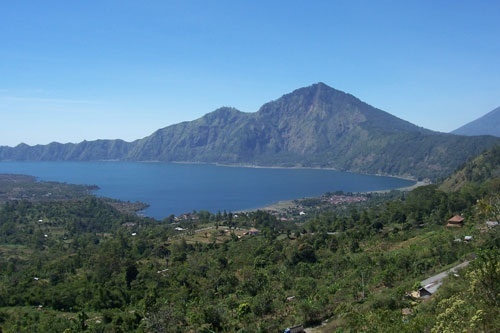 Caldera dike height ranges from 1267 m - 2152 m. Inside the caldera are crescent-shaped lake that occupies the southeastern part of the length of about 7.5 km, a maximum width of 2.5 km, circumference about 22 km and a width of about 16 km2 called Lake Batur. Mount Batur caldera formed by the two expected major eruption, 29.300 and 20.150 years ago. 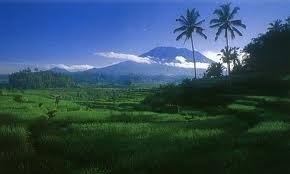 Mount Batur consists of three volcanic cones in each crater, I Batur, Batur II and batur III. Mount Batur has erupted many times.eruption activity mount Batur in recorded history began in 1804 and the last eruption occurred in 2000. 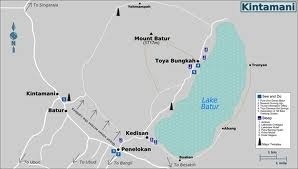 Since 1804 until 2005, Mount Batur has erupted 26 times, and the most devastating occurred on 2 August and ending 21 September 1926. The eruption of Mount Batur that makes hot lava flow hoard Batur and Ulun Danu Batur. 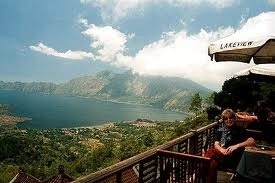 The new Batur village, was rebuilt on the edge of the caldera south of Kintamani. 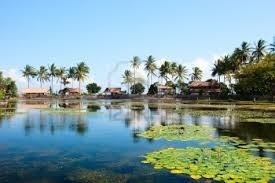 Ulun Danu Temple rebuilt, it is still known as the most beautiful temples in Bali. This temple is dedicated to honor the "Goddess Danu" the ruling goddess of water, as well as that there is a temple in Bratan Lake is also dedicated to the worship of "the Goddess Danu". 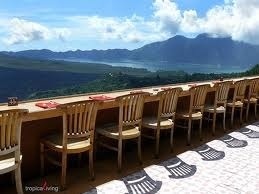 Mount Batur region known as the mainstay attractions Bangli regency. 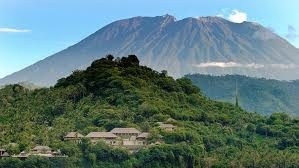 It is said that according to a story in LontarSusana Bali, Mount Batur is the peak of Mount Mahameru who moved Batara Pasupati untuik be sthana Goddess Danuh (palace Goddess Danu). 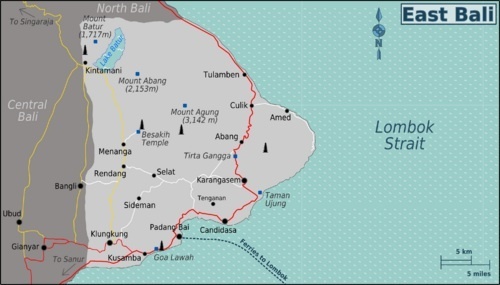 At any given time, all Hindus of various regions in Bali came to Batur deliver to Suwinih to repel pests disasters that befall their fields. 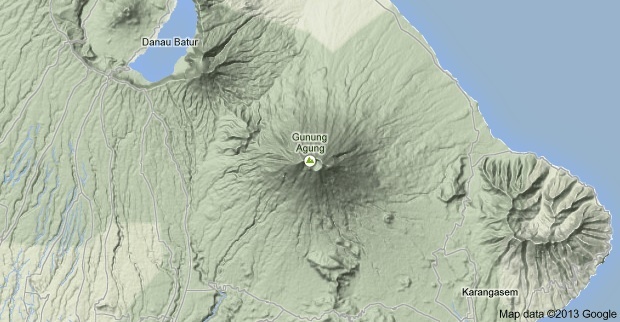 By delivering this suminih the Batur mountain region into a fertile area. Area that can be highlighted as a tourist attraction is the crater, caldera and lake. 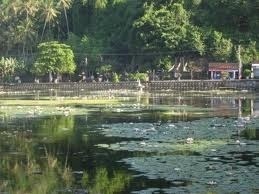 There is a flow of water in a soil that drains water Lake Batur, which appears to be a spring in several places in Bali and is considered the "Holy Tirta"